This is not true. They have records going back to at least 1973. Winter sea ice in 1974 was nearly two million km² lower in 1974 than it was in 1979. 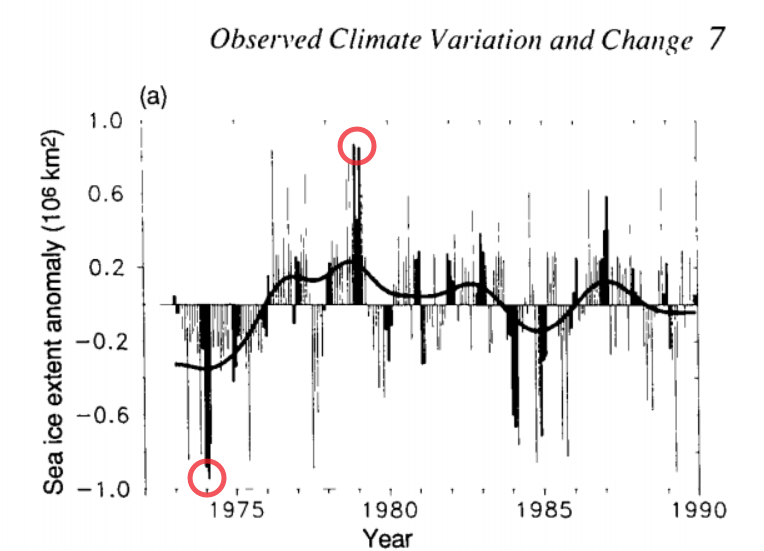 The 1990 IPCC Report showed the same thing, in more detail. 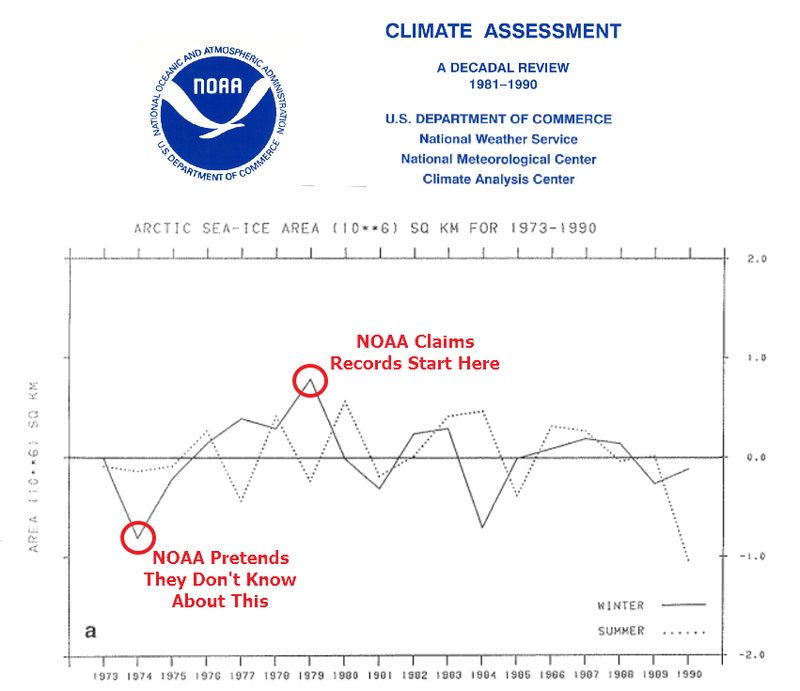 I overlaid the NOAA 1979 to 1990 Arctic ice area graph on the current UIUC graph below, and it becomes clear why NOAA doesn’t want you to know about the pre-1979 data. Winter ice area in 1974 was only slightly larger than this year. 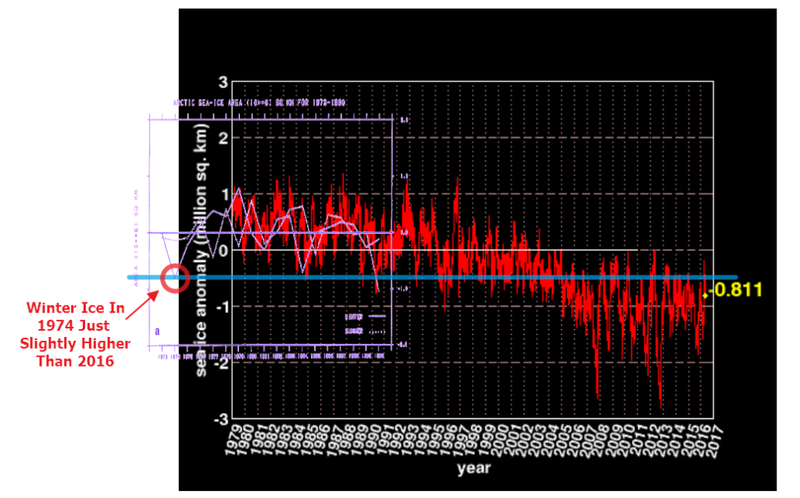 NOAA wants you to believe that Arctic ice is declining linearly, when in fact it is cyclical. We keep hearing hysterical pronouncements about Arctic sea ice from government agencies, when in fact there has been no net change over the past decade. 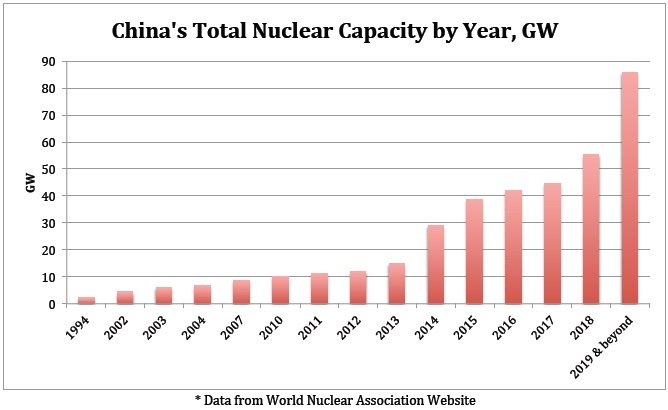 China kicking back, licking her lips and cashing in on the sanctimonious Wests decline thanks to its politically correct penchant to “save the planet” through draconian climate policy and feel-good, vote grabbing and thoroughly useless ‘green’ energy schemes and scams. With the wind industry taking a belting around the planet – its spruikers are left clinging to any vestige of hope, with the anxious zeal of shipwreck survivors happening upon that last piece of flotsam. One such “hope”, is their belief that China provides the perfect example of what wind power outfits can do when immune from the pesky little obstacles like free power markets and democratic rights. It’s not easy being green: Ivanpah solar plant near Nevada burns a lot of natural gas, making it a greenhouse gas emitter under state law. The Ivanpah solar project, seen from the air in February 2014, burns enough natural gas to be required to take part in the state’s Cap and Trade program to reduce emissions. IF Greens love nature, why aren’t they more concerned about carpeting pristine landscapes with industrial wind turbines and toxic, non-renewable solar panels? How Green Is My Industrial Wind Turbine?